Do you have an unsightly fence of shed that you want to hide? Or pesky neighbours that sneak a peak into your backyard and invade your privacy? If so, OUTDECO has the answer for you. OUTDECO manufacture outdoor-privacy decorative screens which are made from sustainable hardwood composite. The ready-to-install screens are cost-effective, extremely versatile, weather-proof and will enhance any project (residential or commercial). The panels are available in various designs and sizes to meet the requirements of any project – and they’re so simple to install you can do it yourself. And the products are 100% Australian-made. 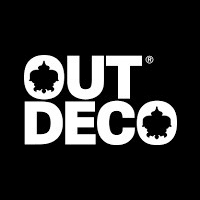 To learn more of the OUTDECO range of products, please visit their website www.outdeco.com – and give Wayne Smart a call (Tel. 0417 576 587) to get your OUTDECO products at the special Caulfield Bears price.